It’s not necessary to own a multimillion-dollar mansion or have a large enough bankroll to book a vacation home to enjoy Nantucket. All the pleasures of the island that’s called the “Grey Lady” can be enjoyed without taking out a second mortgage. For guests at the Seadar Inn, the journey to Nantucket is just a short ride aboard the Freedom Cruise Line, which has ferries departing daily from Saquatucket Harbor in Harwich Port. Not only is parking convenient, it’s also free for day-trippers! The island is only 14 miles long and less than four miles wide, so it’s easy to explore the museums and boutiques, while also viewing some of the many pre-Civil War homes. Once on the island, the options for filling your day are virtually endless. But you might need some fuel for your body before embarking on a walking tour, a bike ride or heading to a museum. One of the island’s most popular breakfast spots is Black-Eyed Susan’s, where they serve up fluffy buttermilk pancakes and a house-made corned beef hash benedict that is to die for. 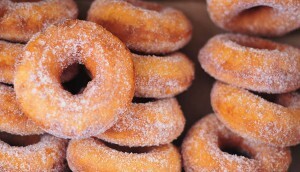 If you’re in the mood for something sweeter, head to Downyflake Restaurant for piping hot doughnuts smothered in sugar. Work off those calories with a part-bird walk, part-botany hike, part-geology exploration with Nantucket Walkabout, the island’s only year-round guided hiking service that takes visitors through Nantucket’s protected lands. 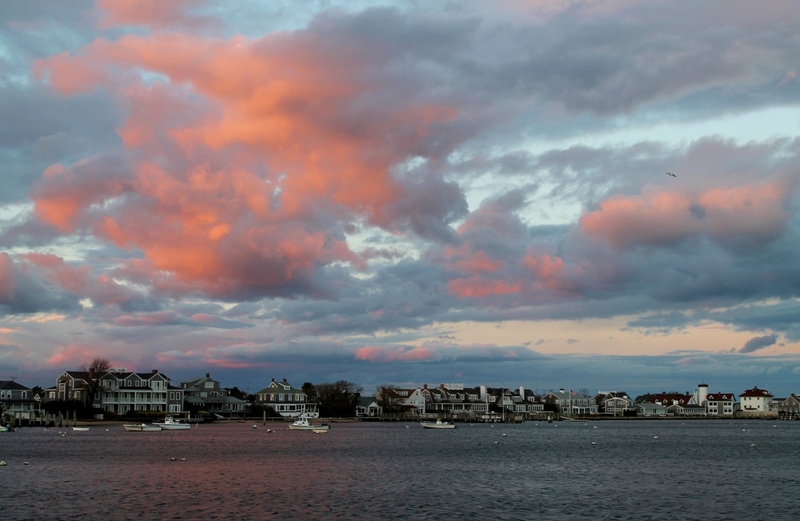 You could also join Nantucket Bike Tours for a ride around the island that includes an excursion out to idyllic Siasconset, where you can see such architectural treasures as the miniature, rose-colored cottages that were fishing shacks in the 1600s. Afterward, quench your thirst with a stopover at Cisco Brewers. Another great spot is the pristine Coskata-Coatue Wildlife Refuge, which is tucked along the coastline and has 16 miles of trails to explore. If you’re really looking to work up a sweat, head to historic Great Point Lighthouse on the northwest tip of the refuge, but be forewarned that it’s a tough hike across soft sand dunes. 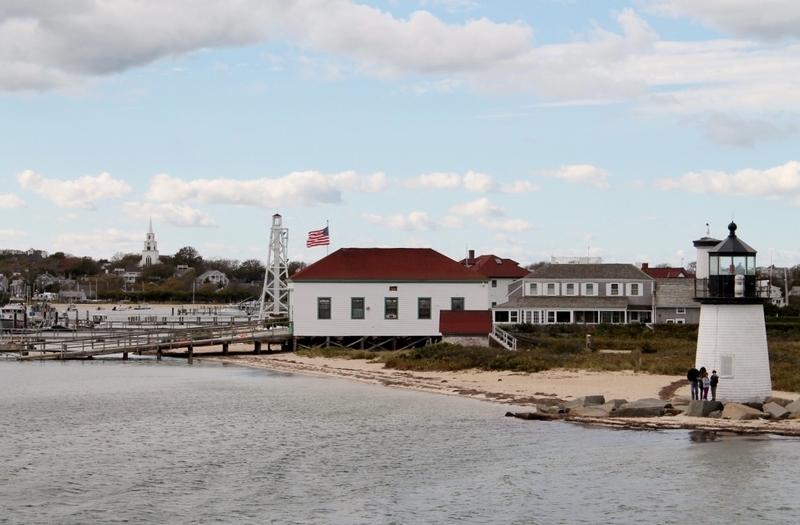 Within walking distance of downtown is Brant Point Light, one of the most photographed and iconic attractions on the island. 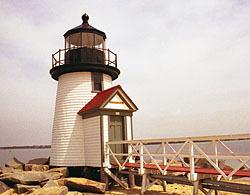 It was the first lighthouse on Nantucket and the second built in the colonies. A break for lunch might then be in order. 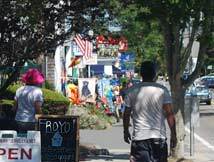 If you’re still in ‘Sconset, Claudette’s Sandwich Shop is a local favorite. Closer to downtown, Something Natural is a great choice. Fresh-baked bread and award-winning cookies lure both locals and tourists, and the piled-high sandwiches are sure to satisfy your appetite. Fortified by lunch, head over to the Nantucket Whaling Museum, where you’ll find a 46-foot-long skeleton of a sperm whale. Part of the museum was once a factory for making whale-oil candles and exhibits now show the process. You can also see exhibits on scrimshaw, finely-woven Nantucket baskets, period costumes, furniture and paintings. Nearby is the Jethro Coffin House, the oldest on the island. Built in 1686, it offers a glimpse of what life on the island was like four centuries ago. In fact, Nantucket has more than 800 houses and buildings from the 18th and 19th centuries that can be viewed on your own or as part of a tour. But maybe you prefer to just stroll the cobblestone Main Street and poke your head into the many unique shops. If so, don’t skip Murray’s Toggery, where this family-owned clothing business introduced the now world-famous “Nantucket Reds.” Or maybe you’re in the market for a classic pink Oxford and blue seersucker pants adorned with lobsters. They’ve got it. Before boarding the ferry, enjoy dinner at The Pearl, one of the hippest restaurants on the island. 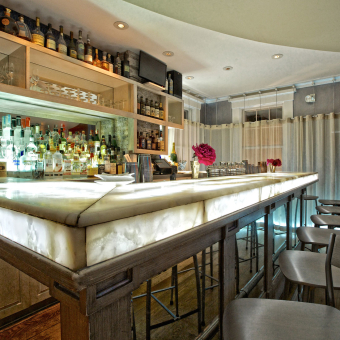 Diners gush about the Lobster Rangoon and their signature entrée, the Salt & Pepper Fried Lobster. The Wok-Fried Lobster is also pretty special. And don’t skip dessert by visiting Juice Bar, which has been named one of the best ice cream shops in the country by Food & Wine magazine. By the time you head back to the mainland, you’ll feel like a true islander.